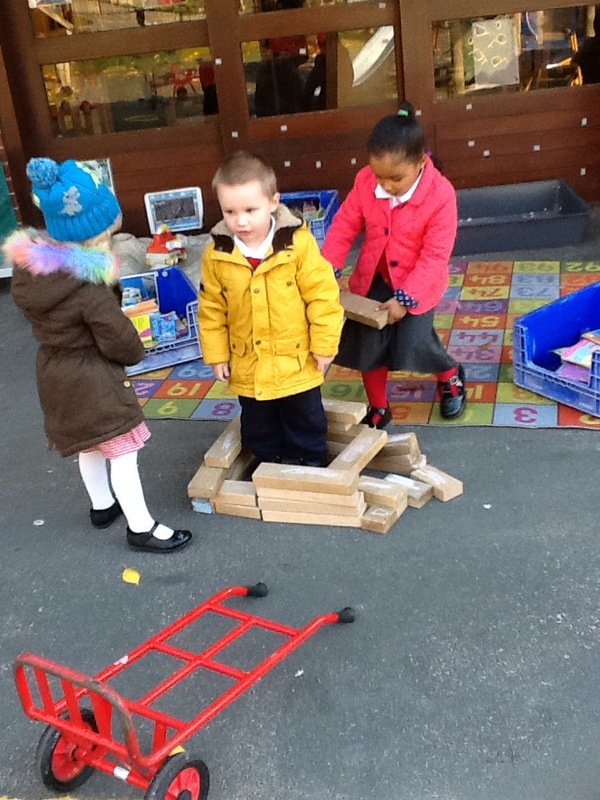 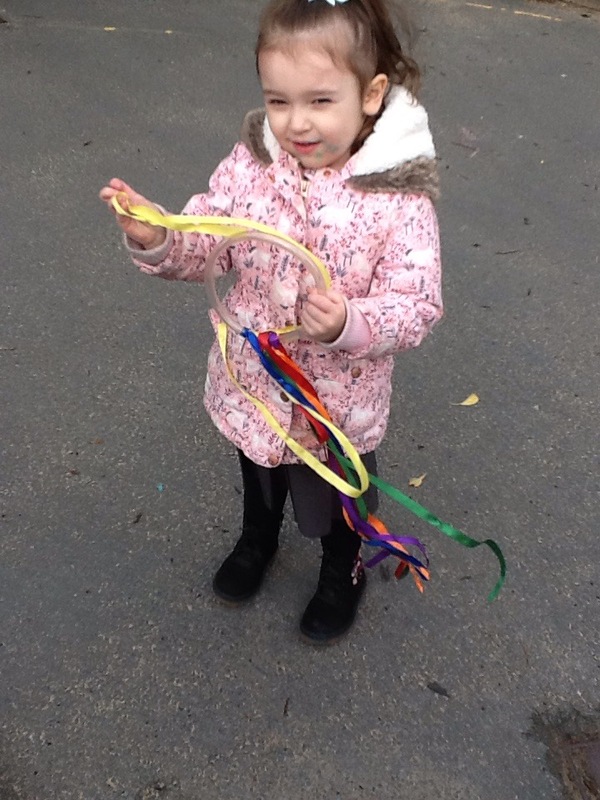 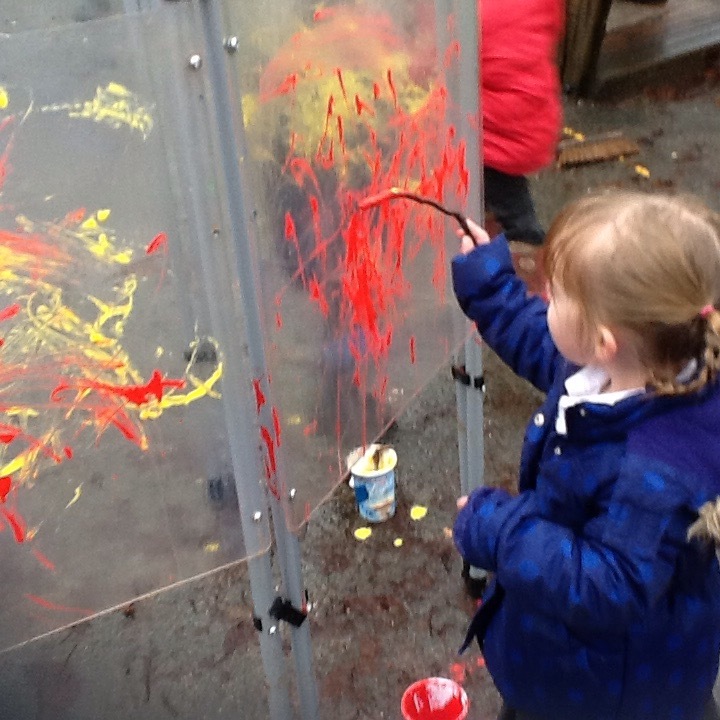 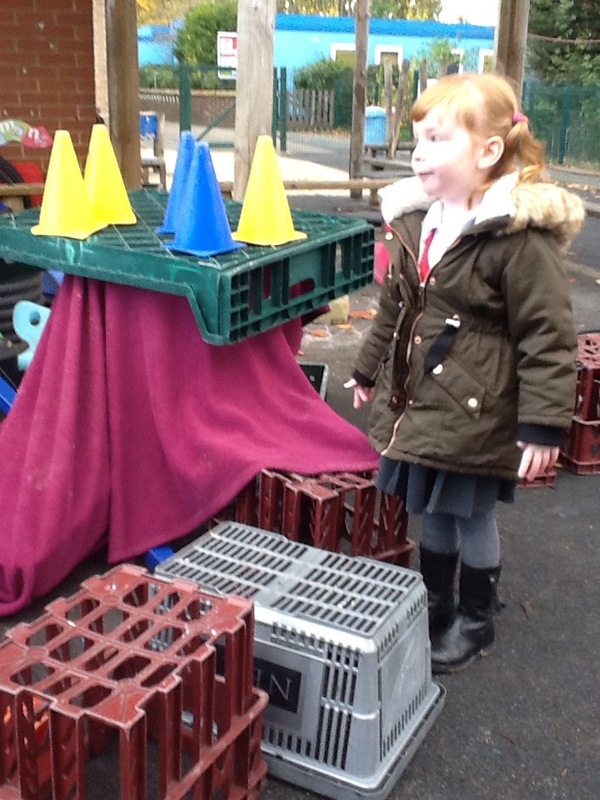 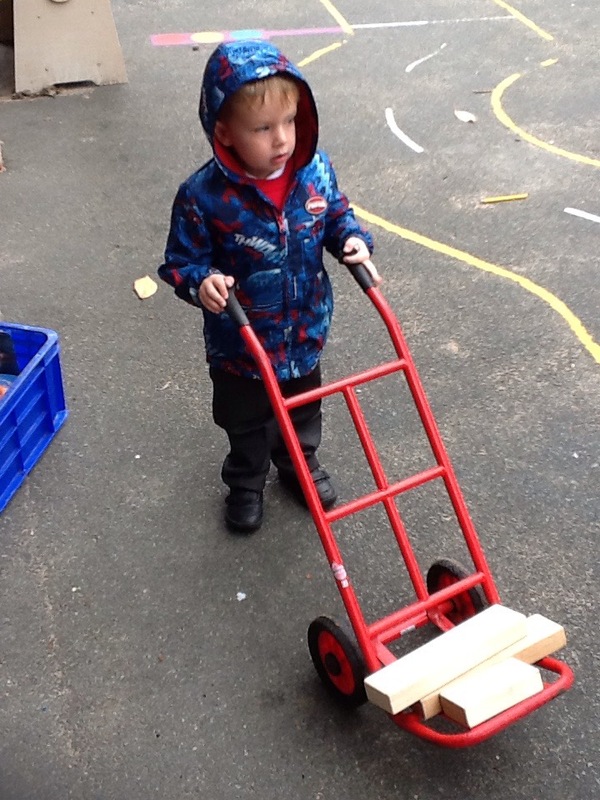 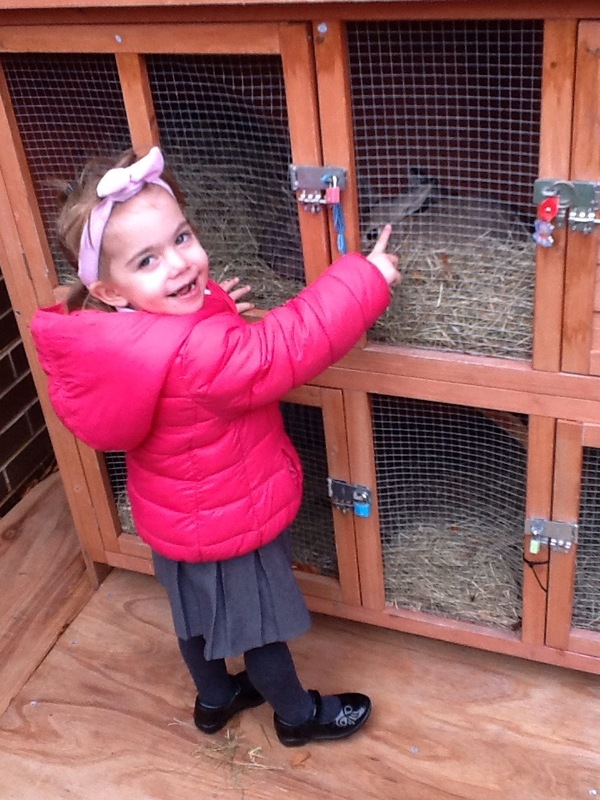 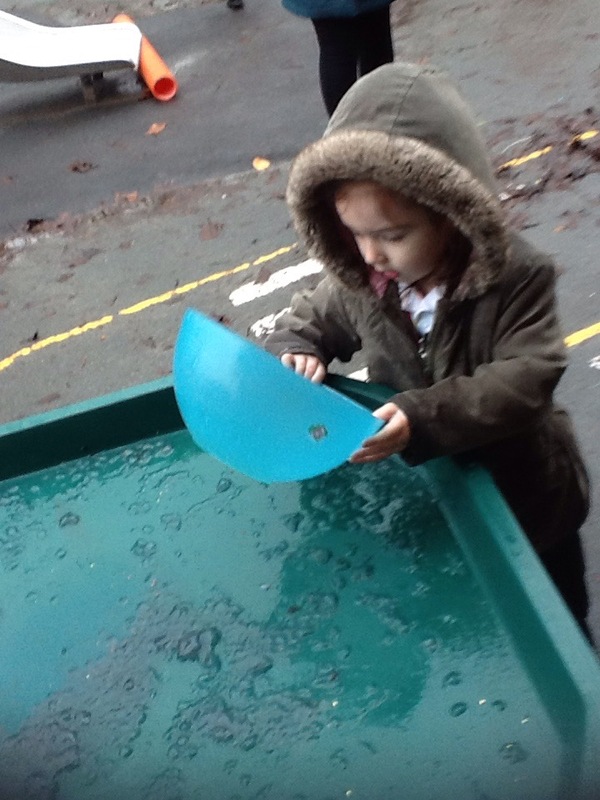 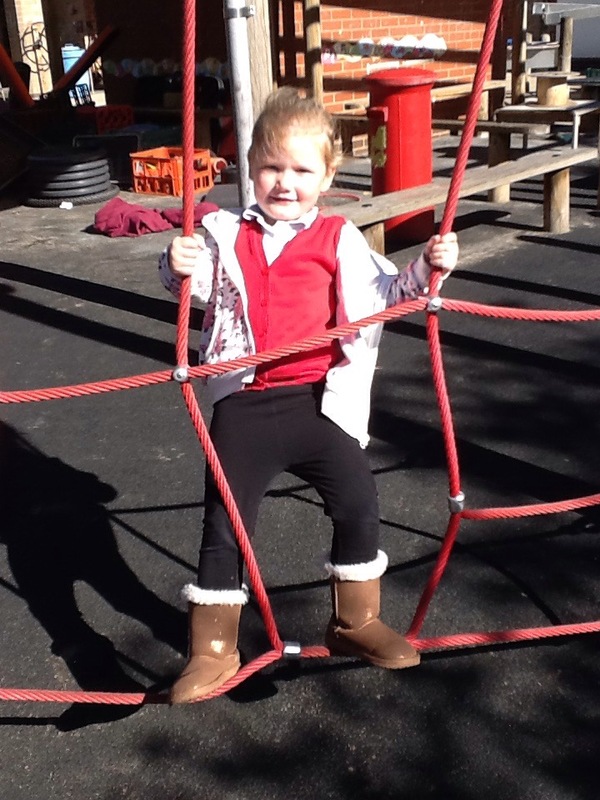 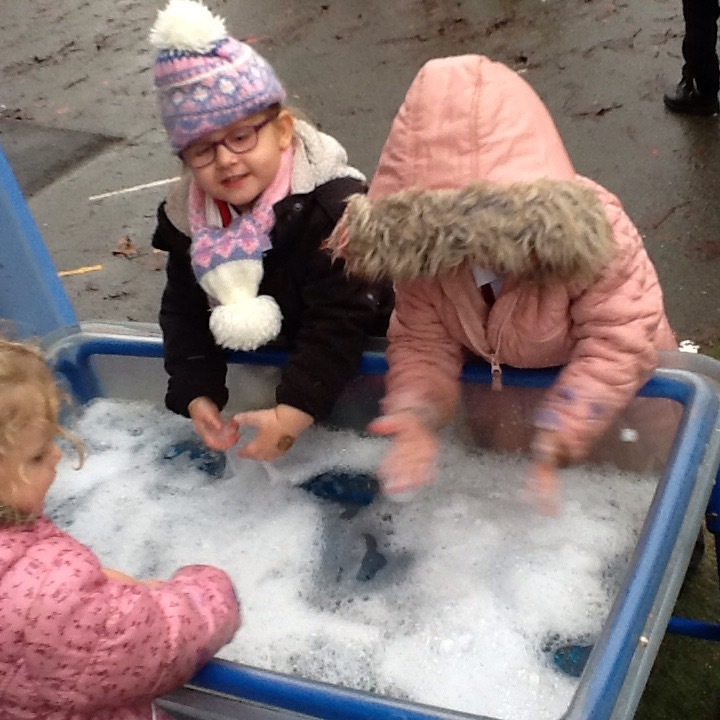 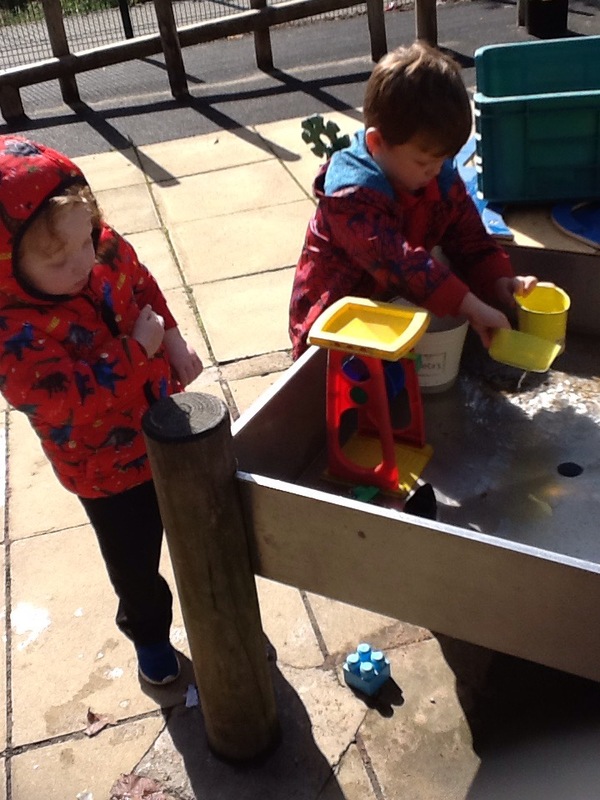 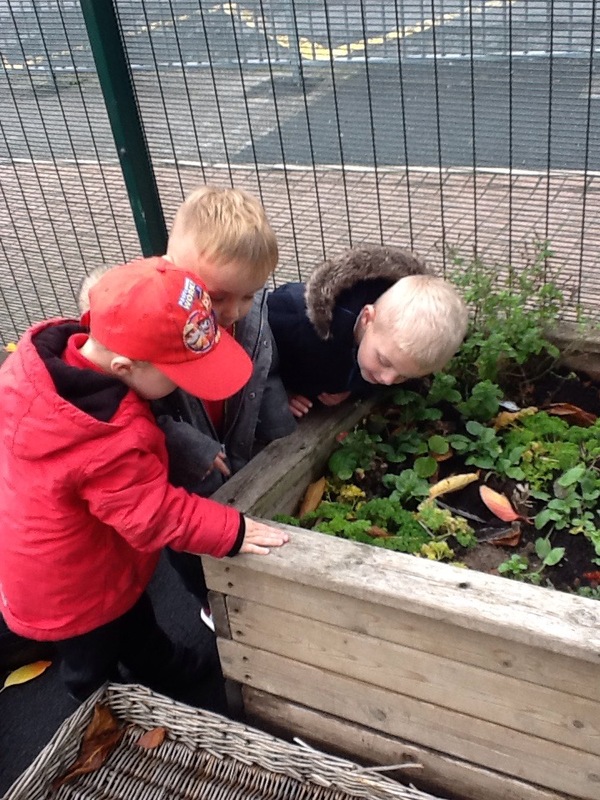 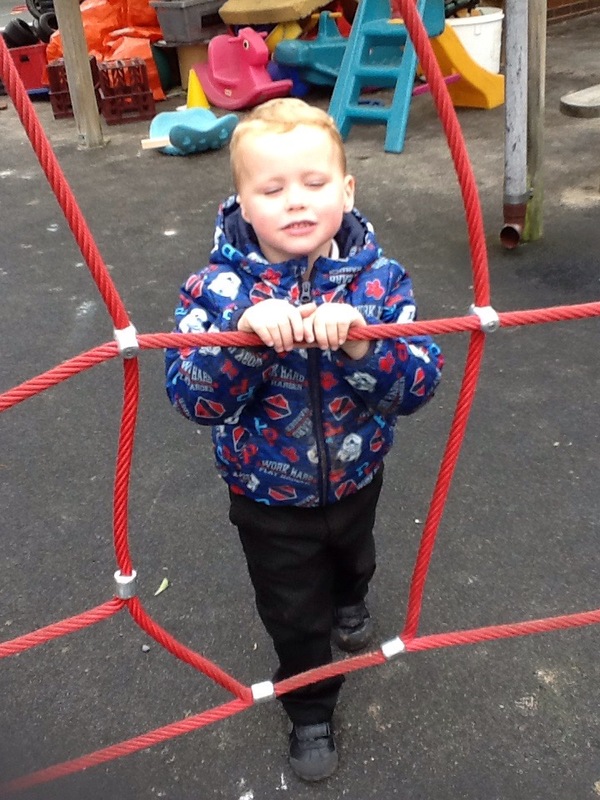 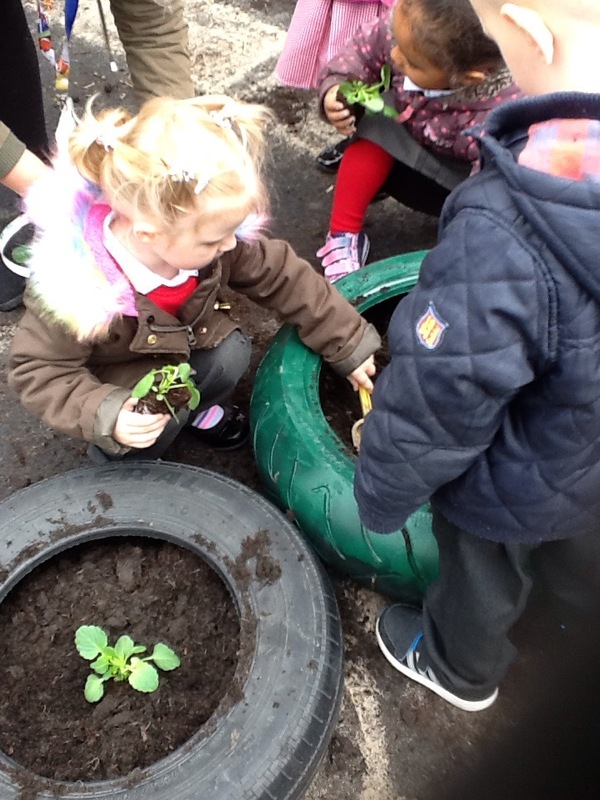 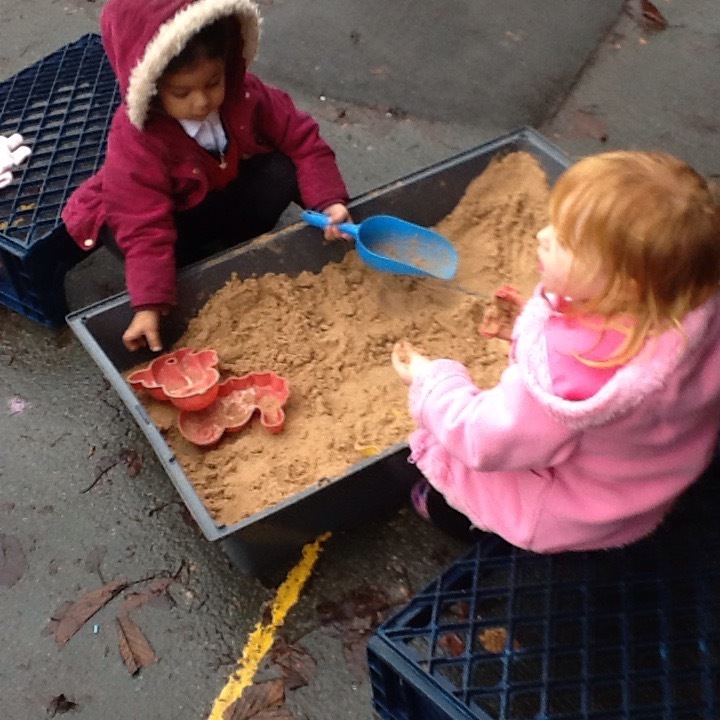 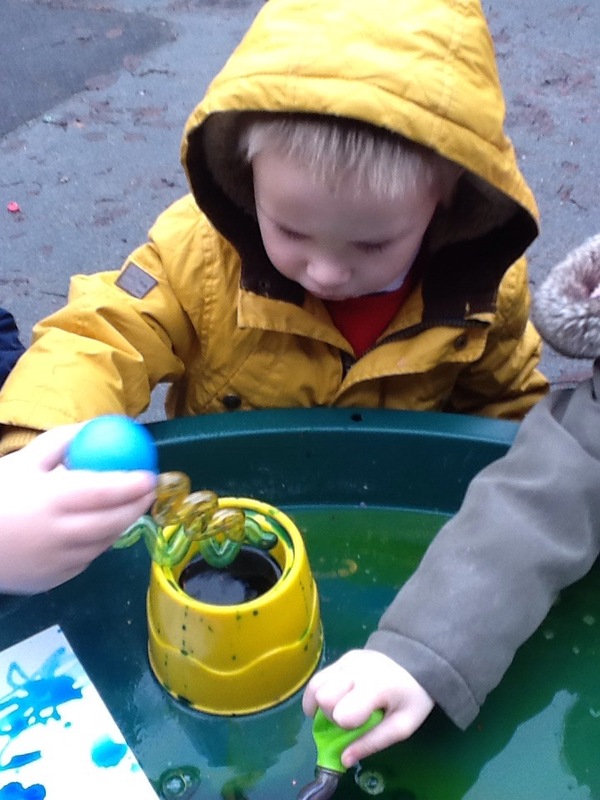 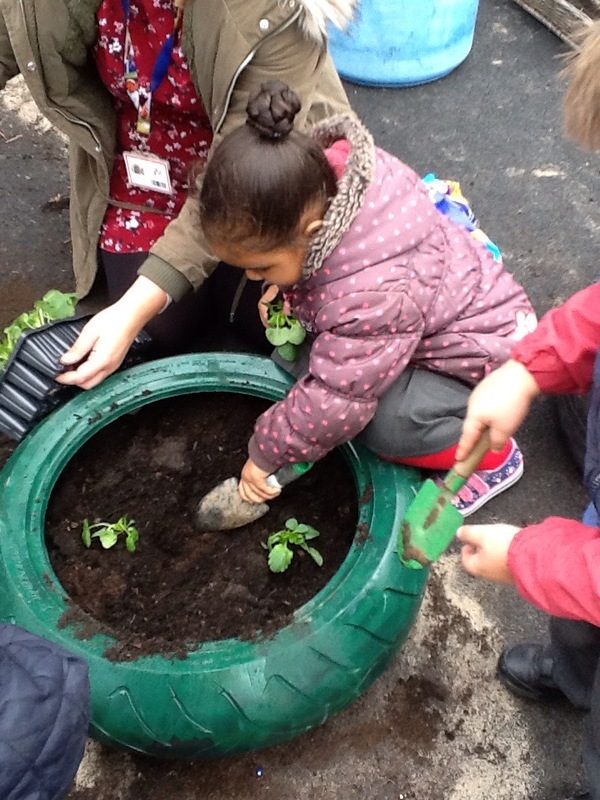 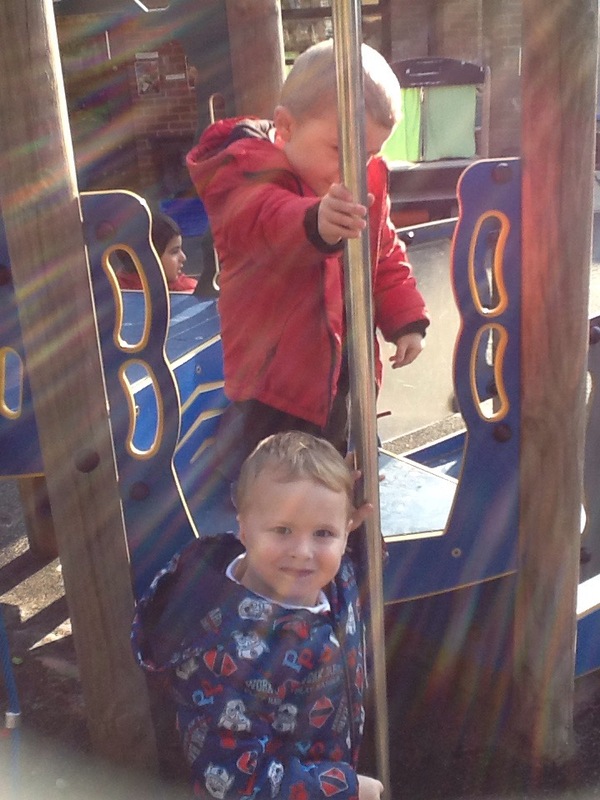 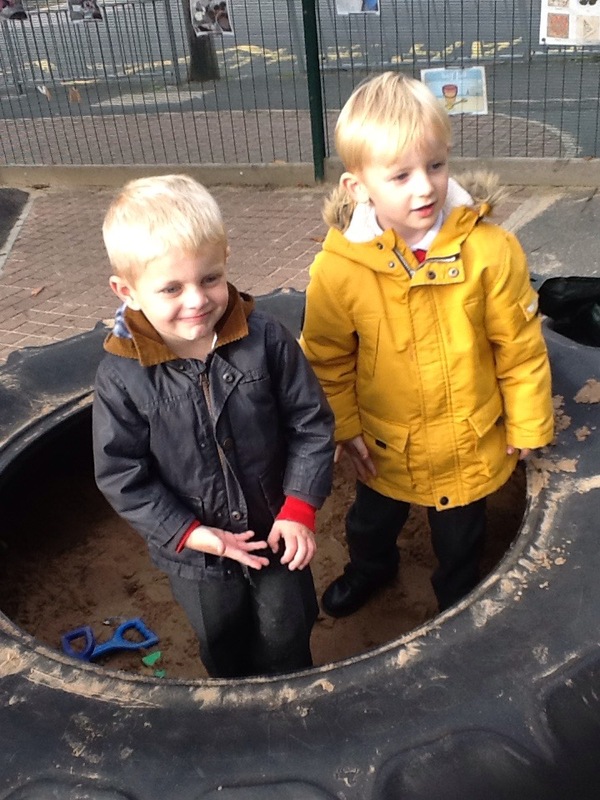 The children in Foundation stage spend a huge part of their day in our outdoor area. 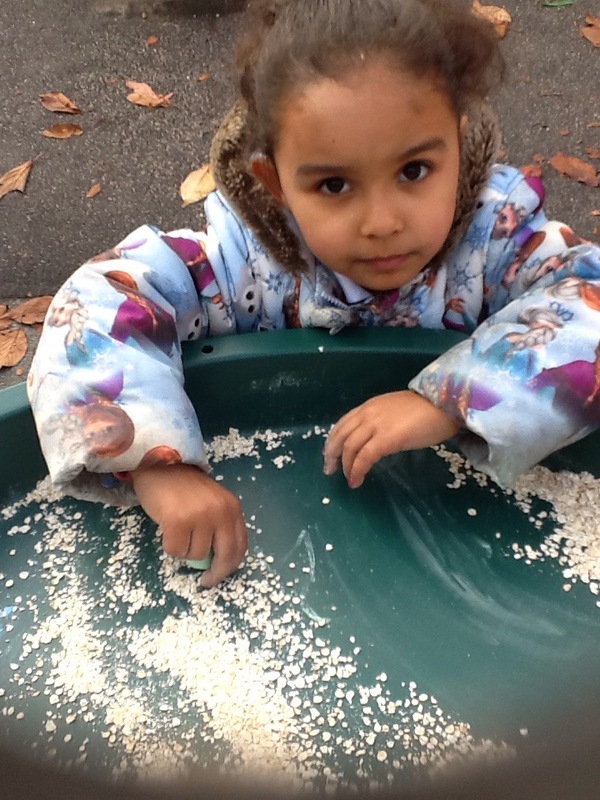 *knowledge and Understanding the world . 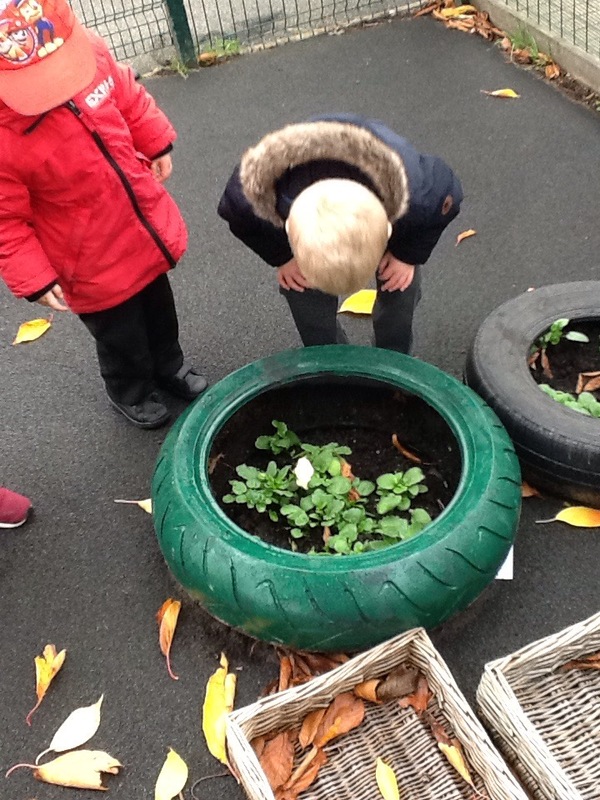 Exploring the changes in seasons, weather, life cycles of mini beasts. 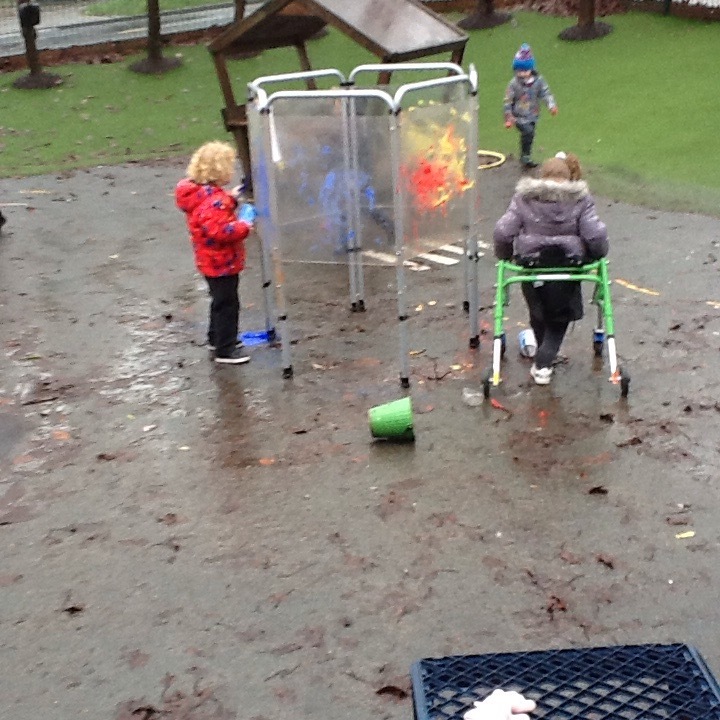 *Physical development. 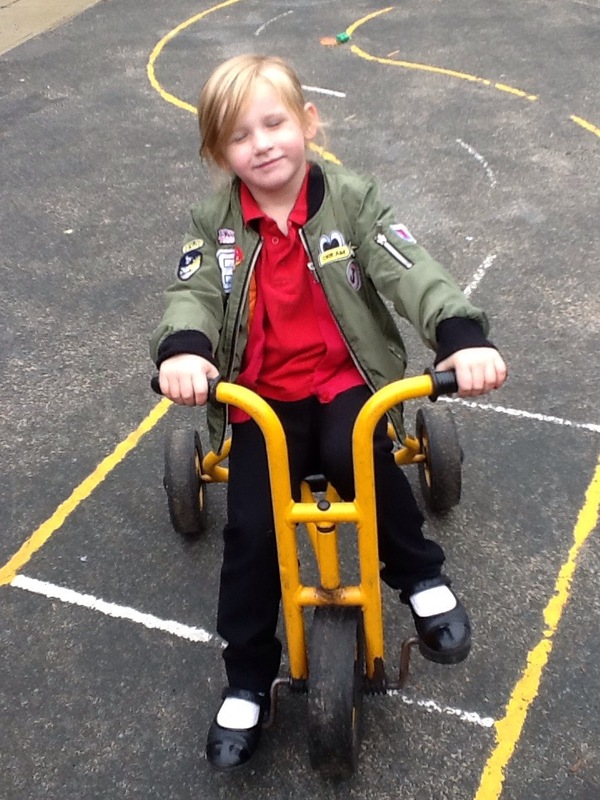 Peddling bikes, climbing, balancing, mark making, moving safely and in different ways. 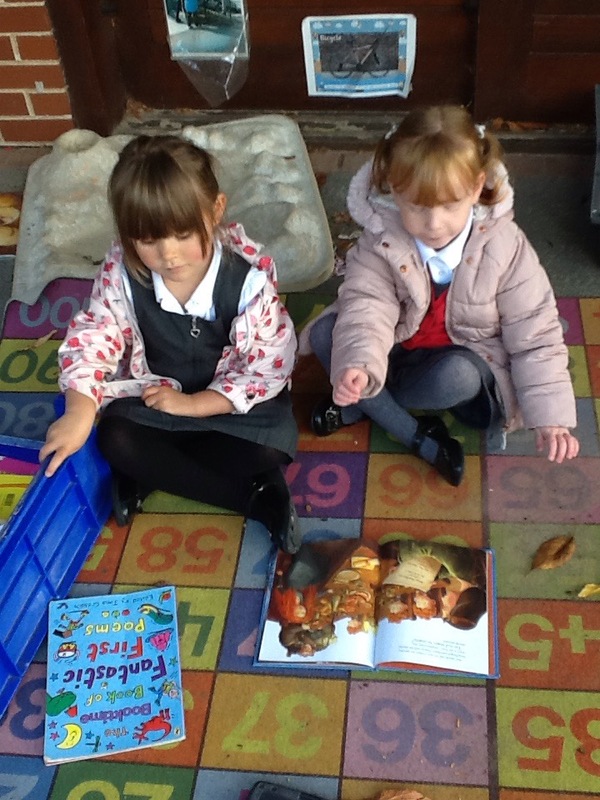 *Communication and language. 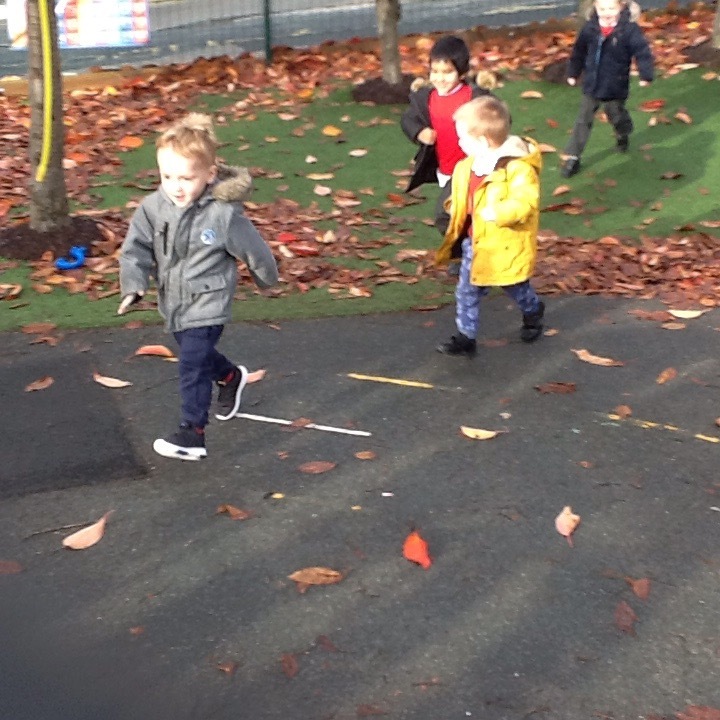 Developing listening skills by learning to distinguishing between the different sounds you can hear outside. 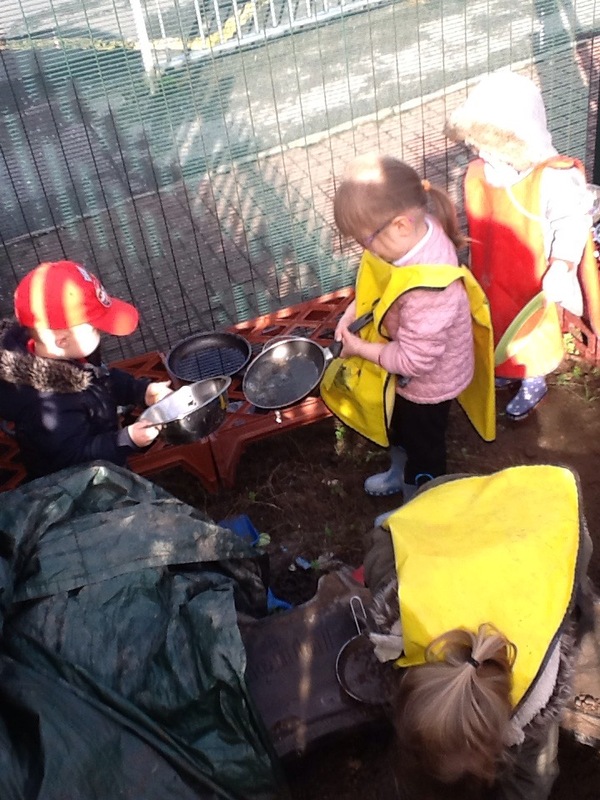 Providing a language rich environment. 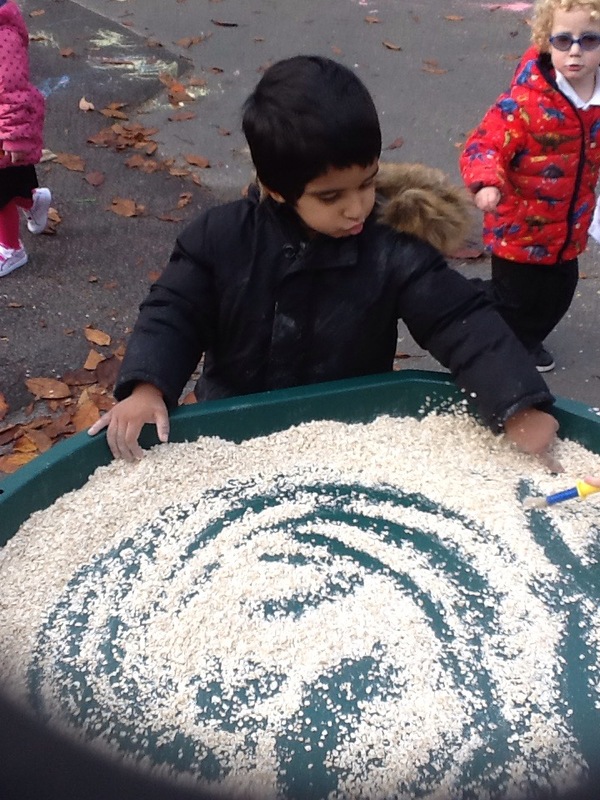 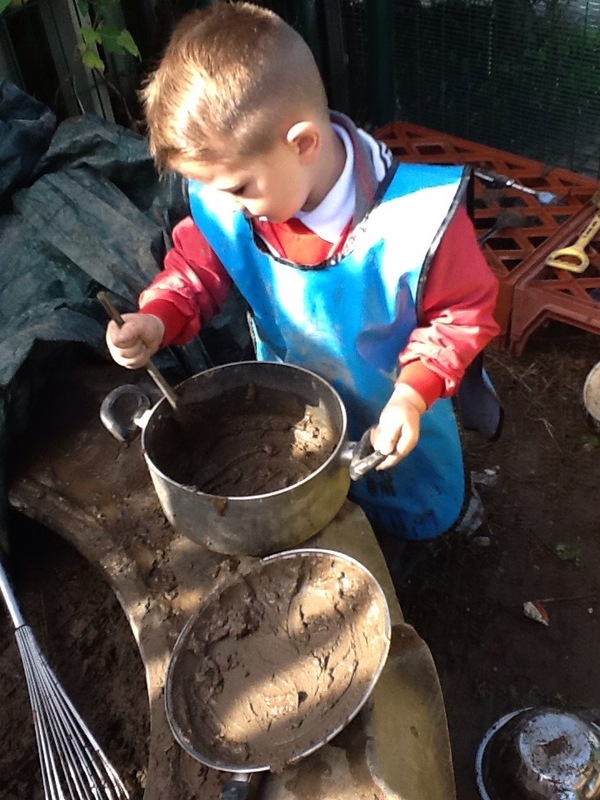 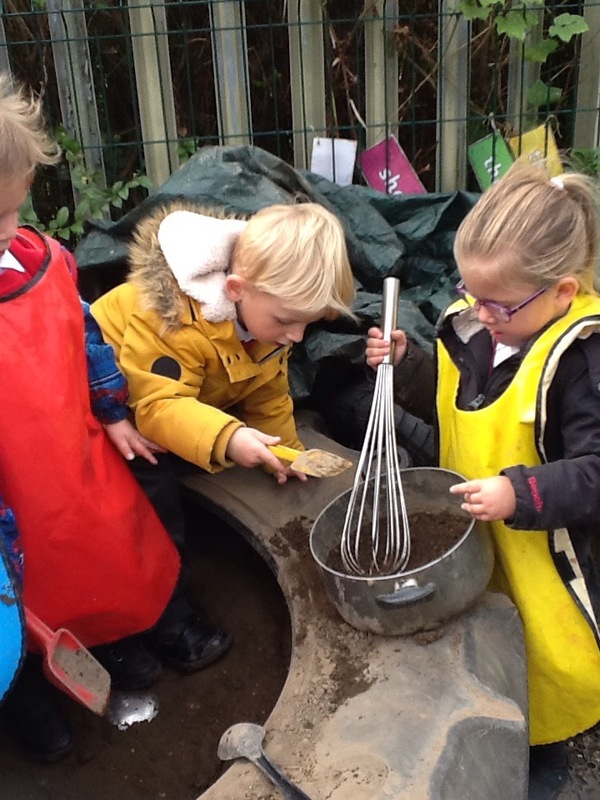 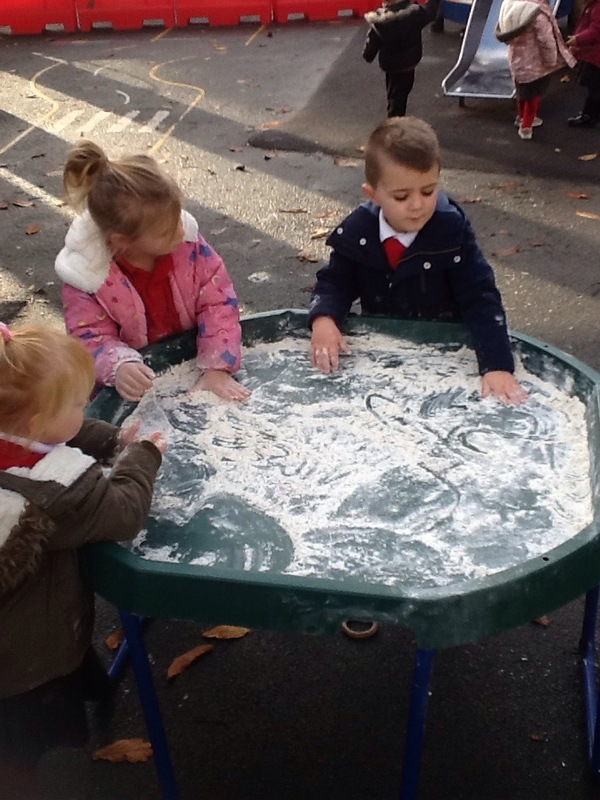 We are very lucky to have a great outdoor area with climbing equipment, the mud kitchen, outdoor book area, large trays to explore oats, flour, pasta, jelly and other sensory materials. 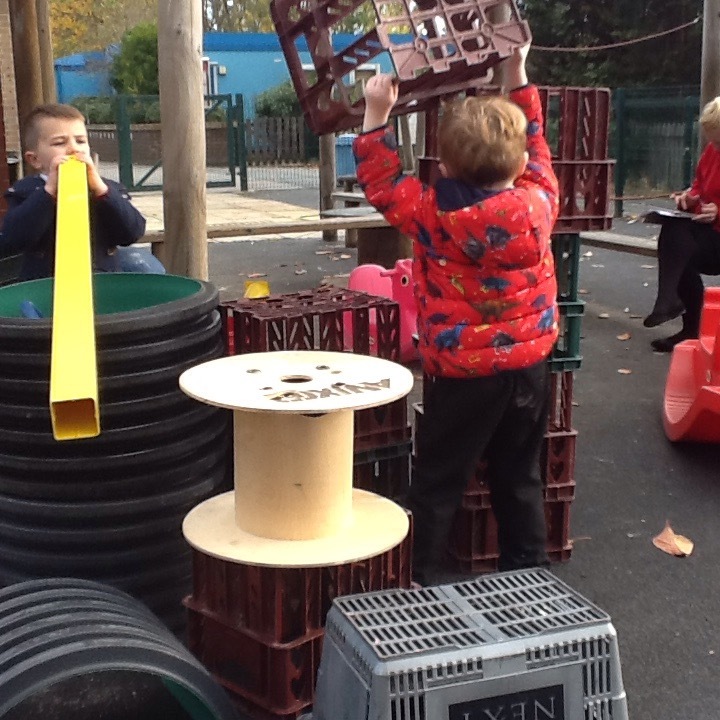 The scrap area is very popular and the children use creative critial thinking to construct various things to support their role play.